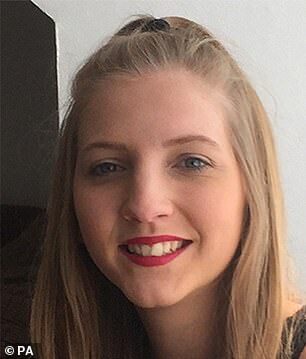 The family of a 19-year-old girl murdered by her stalker have said that changes made by the police force she appealed to for help are ‘too little, too late’. The parents of Shana Grice have spoken out after Sussex Police confirmed some of the officers involved in her case would be facing disciplinary action and on the day an independent report found the force’s approach to investigating stalking and harassment cases was not consistent or effective. Miss Grice, 19, reported her ex-partner Michael Lane to Sussex Police five times in six months, but was fined £90 for wasting police time and handed a fixed penalty notice. Just months later Lane attacked his former girlfriend and slit her throat with a knife before setting fire to her bedroom to try to burn her body in Portslade, near Brighton, East Sussex, in 2016. Now Shana’s parents, Sharon Grice and Richard Green, have said: ‘Our daughter took her concerns to the police and instead of being protected was treated like a criminal. She paid for the police’s lack of training, care and poor attitude with her life. ‘It’s only right that the police make changes, but it’s too little, too late for Shana. Sussex Police should not be applauded for this.